Pregnancy is one of the most miserable experiences in my life. I absolutely love and adore labor, delivery, and snuggling the new baby BUT I am just so sick and in so much pain that I don’t enjoy pregnancy at all. 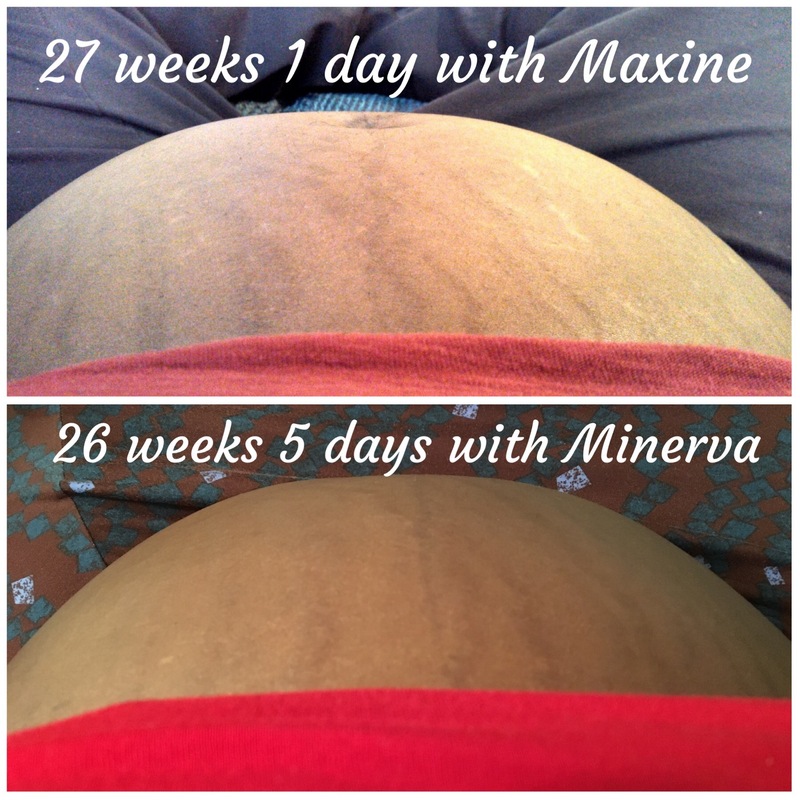 Minerva’s due date was July 5th. My one wish was to not be pregnant when July arrived. 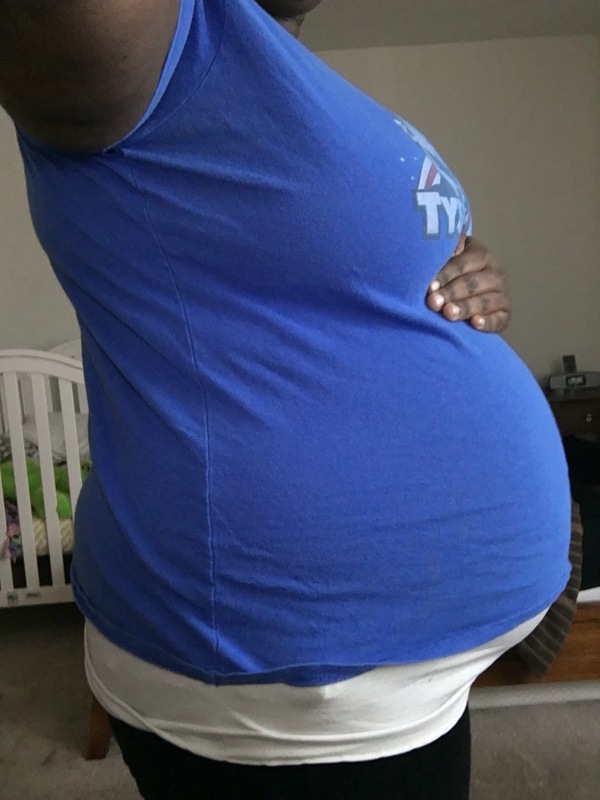 So the week leading up to me going into labor, I was absolutely exhausted. I felt sick. Everything hurt. I had no motivation to do anything. I sat around that week just making sure Maxine had all her necessities. After my 37 week checkup, I told my obstetrician that I wouldn’t make it to the next appointment. Of course, he didn’t believe me. The night before the next appointment, I decided to put in the grocery order that I was putting off. As soon as I hit ‘submit’ I said, “well I’ll probably go into labor tonight after the cancellation cut off.” Marvin said that I probably wouldn’t but if I did, he would still go pick up groceries at 9:00 AM. While I was watching Devious Maids that evening, I had a terrible bout of nausea but brushed it off because I’d felt horrible the entire week anyway. Once that feeling went away, I decided that it was time for Maxine and I to go to sleep. 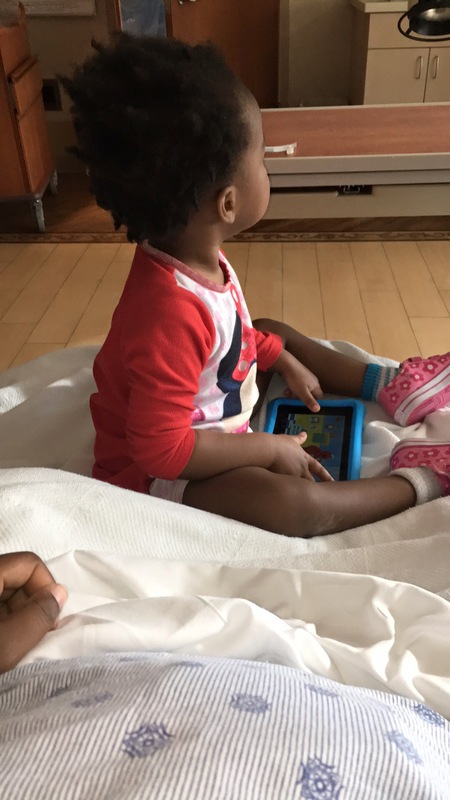 Of course my night owl was not ready for bed so when Marvin got home, she stayed up for a while with him. Next thing I know, it’s 4:00 am and my stomach was bugging out. I got up to pee and then I had a pain that felt like one of the cramps I get during my endometriosis flare ups. I found that strange so I walked around upstairs some and then it happened again. 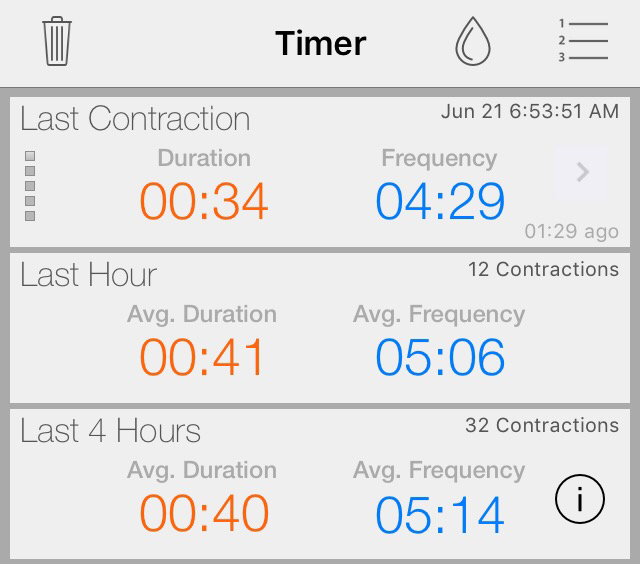 I decided to download a contraction timer app in this moment because what else was I gonna do at 4:00AM? I didn’t know if they were contractions or not because with Maxine my water broke. Well after a few hours and many less than 5 minute apart cramps, I decided that these actually were contractions and I should really get ready to go to the hospital. Maxine and Marvin were still asleep. I packed Maxine’s overnight bag, texted my mom and Dana, then woke Marvin up. Maxine was still in her nightgown for the 30 minute drive to the hospital because I packed her outfit for the day in her overnight bag. 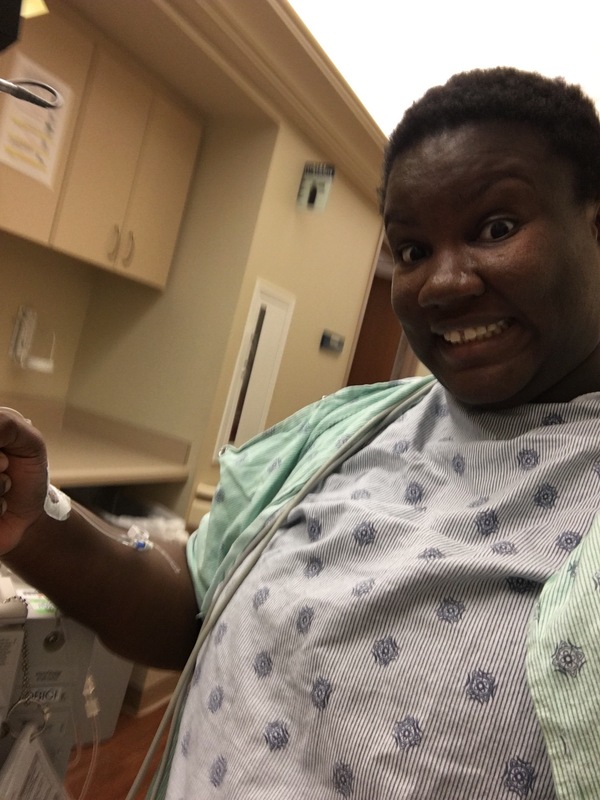 When we finally got to the hospital, they checked to see if my cervix was dilating. I was 4cm so they waited an hour for progress to decide if they were going to admit me or not. Shortly after I was hooked up to the monitor, my mom arrived because Marvin had to go get the groceries still (LOL). Maxine was so happy to see my mom. After about 20 minutes, the doctor on call came in to check on me and remembered me from calling earlier that morning and said that they were admitting me. YES! I was so happy because I was so OVER being pregnant. I was excited to change into that ugly hospital gown. Once I was all set up and connected to the IV, I decided to walk the baby down some. After walking three or four laps around the women’s center I felt that I needed to be back in my room. walking laps around the women’s center at Obici! I sat on the birthing ball for a short while and then my water broke. That’s when I lost all control of my pain. Those contractions HURT SO BAD after my water broke. Around this time Marvin got back to the hospital and immediately fell asleep. I don’t blame him. He worked open to close the day before and hadn’t had much sleep. I would have been asleep too if I worked a twelve hour shift. My dad arrived around this time too. That worked out perfectly because he was able to take Maxine on a walk. I was basically screaming through contractions at this point. I asked the nurse for an epidural and she said I needed to wait for my IV bag to be empty. I tried to wait for that to happen but shortly after, I had three back to back contractions that had me in a ball on the bed. I screamed “I NEED AN EPIDURAL RIGHT NOW” so loud that the nurses heard me from the nurses station and they came to the room immediately. My nurse checked me and I was 5cm dilated. Marvin woke up at this point and the anesthesiologist came in and got started. My IV bag wasn’t empty yet (lol in yor face nurse). Marvin kept me still and after three pokes with that long needle my epidural finally was inserted and the medication kicked in. I felt so much better. The nursing student (who was AMAZING) put my catheter in and the nurse checked me again and I was 9cm. This happened over 30 minutes! I went from a 5 to a 9 in half an hour! The nurse then said that we had to wait on the Doctor to push. What I didn’t realize at the time was that the entire floor was full of women in labor and I would have to wait nearly an hour and a half to push. No big deal–I had zero urge to push at that point and needed to get myself in the right mindset to push. 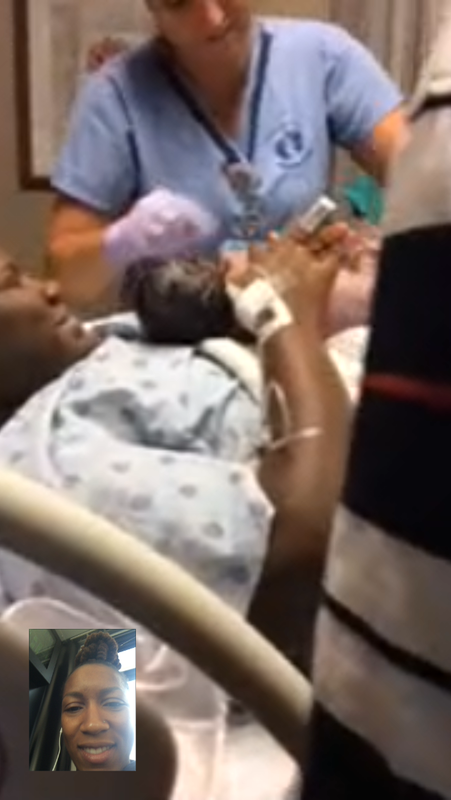 To kill time, I chatted with friends online who had no idea I was in labor. 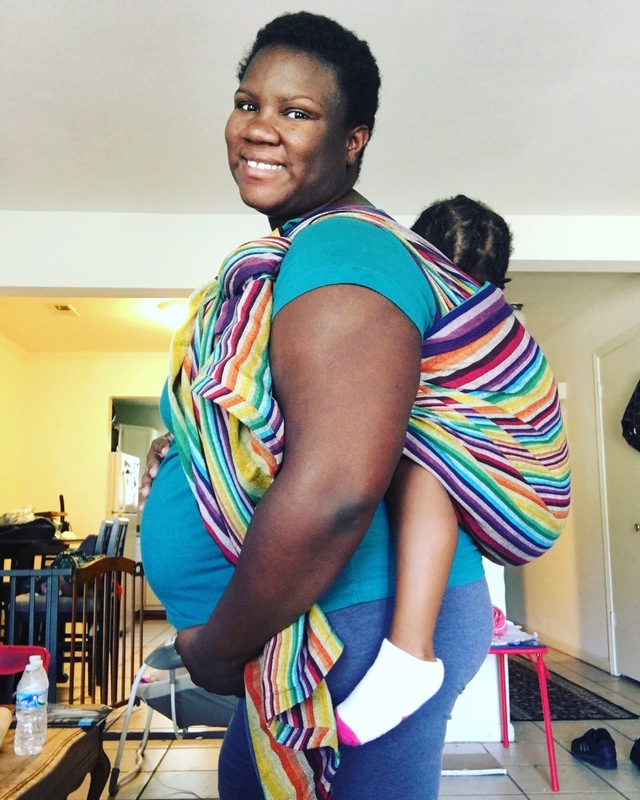 I also gave out some Babywearing advice in my local Babywearing Facebook group. FINALLY it was time to push. This moment was so great. My mom called my sister on FaceTime so she could “be in the room” and that made me feel so happy. It was weird pushing this time because I could not feel myself pushing at all. After three sets of three big pushes and two tiny pushes, Minerva slid on out. 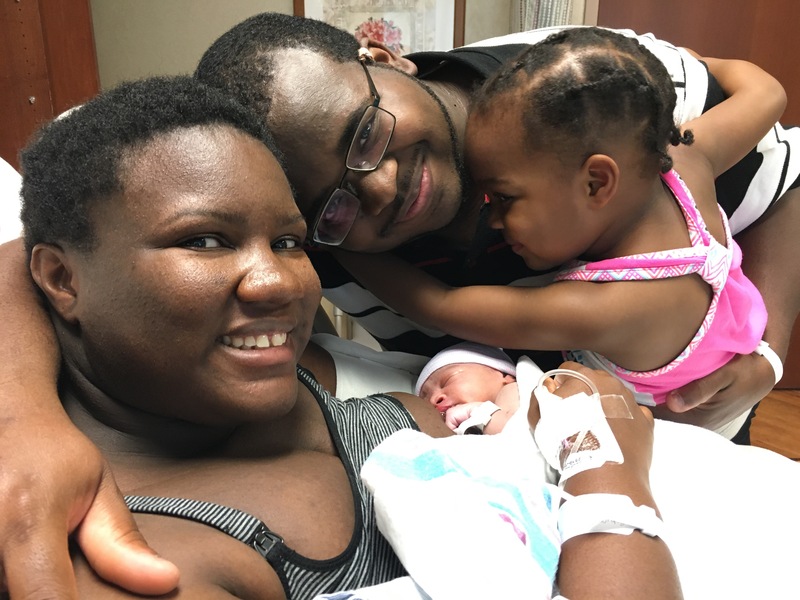 She had the umbilical cord wrapped around her neck twice but the doctor corrected that quickly. Marvin cut the cord and then they gave Minerva to me (with a towel of course because I don’t do icky slimy anything). I was so happy!! Finally not pregnant anymore!! That was exactly what I said too. My placenta came out very fast this time as well. I’m glad too because I did not want to see it at all and it was gone so fast that Marvin didn’t even notice it being delivered. 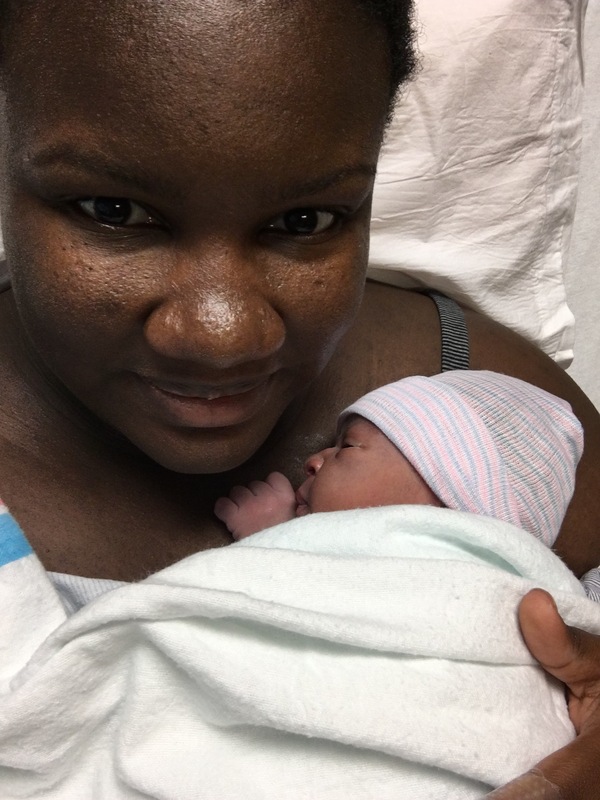 I don’t think I could have planned a better birth experience. I really am so grateful with how everything went. It was perfect. me meeting Minerva for the first time. My sister’s facetime screenshot. I’m definitely crying here. A happy family of four. We are so excited that Minerva is finally here! 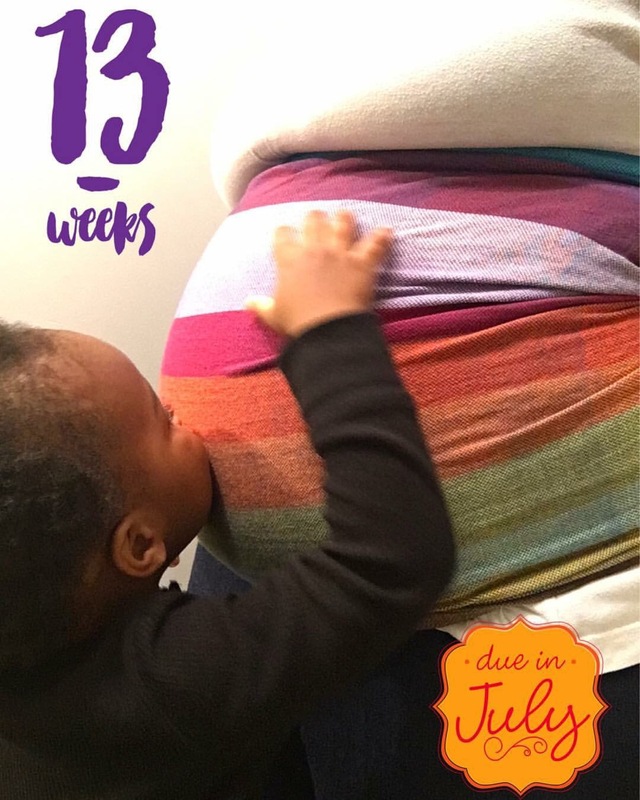 Her due date was July 5th. 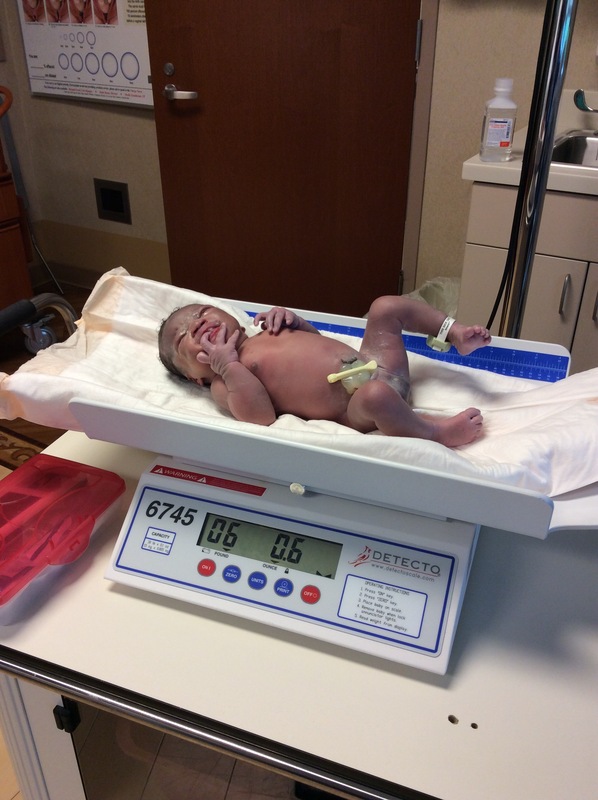 She was born June 21st at 1:33 pm. Here are some pictures from her first week of life. Here I am sitting in the same position with these two. Min normally sits up a lot higher than Max did. This picture shows Min hanging out in her favorite spot…my ribs. 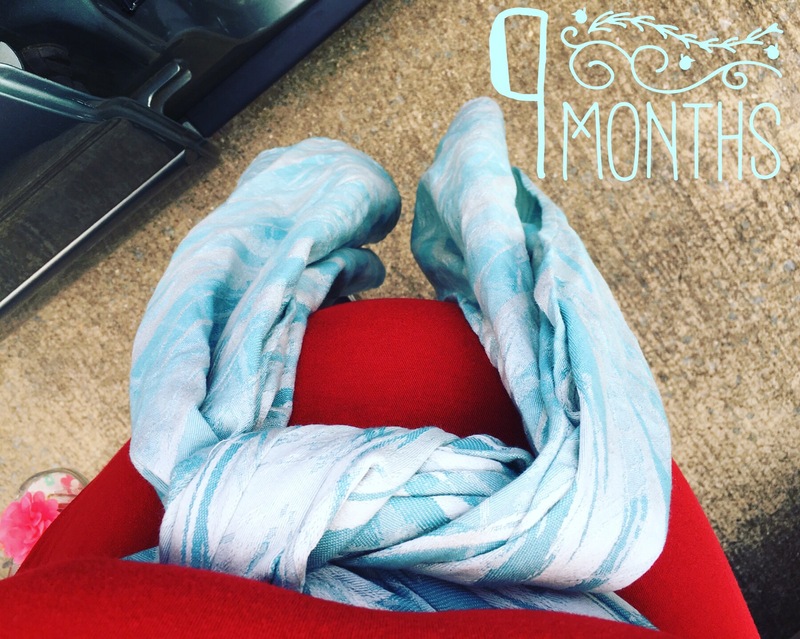 Ten weeks pregnant(!!!) and Kokoskaa Kokobu Toddler size.